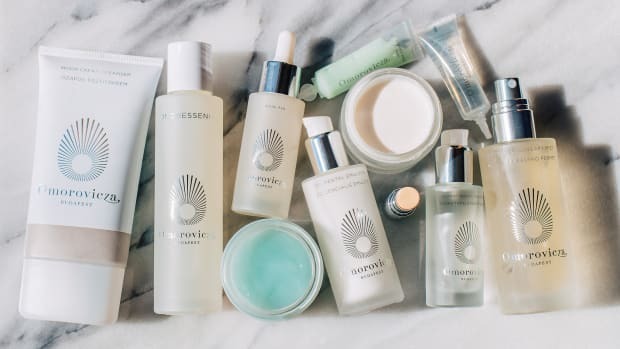 Face masks, once reserved for fancy spa treatments and girls&apos; nights in, have become a skincare essential. 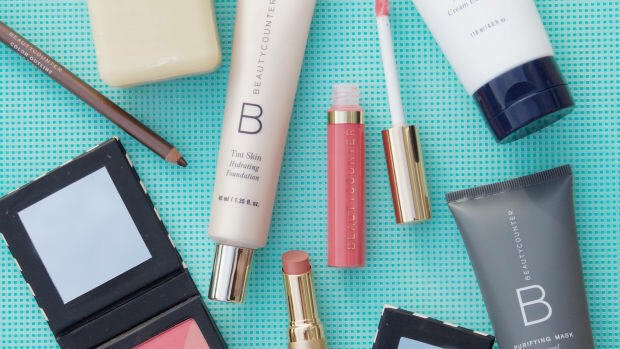 Few beauty products feel as good—or are as hard-working. They give instant results, offer an array of benefits and are super-affordable compared to professional facials. What&apos;s not to love? Well, if you&apos;re a natural skincare aficionado, you&apos;ve probably noticed that most face masks contain ingredients you&apos;d rather avoid. Think: silicone-based emollients, synthetic fragrances, petroleum-derived chemicals and irritating preservatives, for starters. I don&apos;t know about you, but I&apos;m not so keen on leaving those substances to sink into my skin. Fortunately, there are some amazing alternatives! 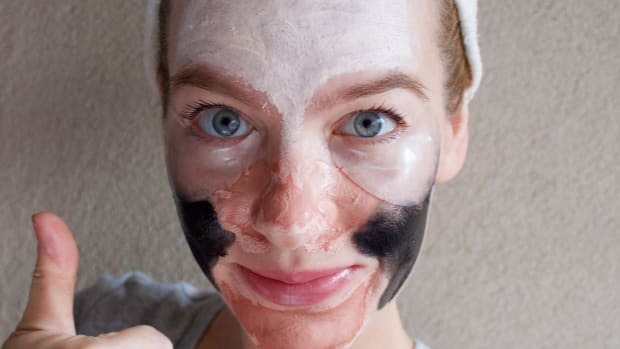 Ever on the hunt for safer beauty products, I&apos;ve recently tracked down five all-natural face masks that are as cleanly formulated as they are luxurious. You&apos;ll find them all at Petal & Post, the gorgeous online shop specializing in luxury organic beauty. Keep reading to find out how to score 10 percent off your order and free shipping (they ship worldwide!). Ila Spa Face Mask for Revitalising Skin. The texture of Ila Spa Face Mask for Revitalising Skin. The Ila Spa Face Mask for Revitalising Skin is one of the most indulgent face masks I&apos;ve EVER tried. It comes in a huge, heavy jar (so it&apos;ll last you a long time), and the texture is just incredible: thick, creamy and easily spreadable. If you love a classic spa mask, this is the one for you! Suitable for all complexions, its primary ingredient is a green clay (hence the green colour), which is packed with ionic minerals that easily absorb into the skin. That&apos;s blended with Himalayan salt crystals, rose water and essential fatty acids to further nourish, restore radiance and fight free radicals. Think of it as the ultimate pick-me-up for lifeless skin—it will leave your face feeling softer, smoother and way more hydrated. How to use it: Apply the mask to clean skin, avoiding the lips and eye area. Allow to dry for 15 minutes, and then rinse with warm water. Use two to three times per week. Ingredients: Mineral Rich Green Clay Powder (Clay), Rose Hydrolat (Rosa Damascena Water), Argan Oil (Argania Spinosa Kernal Oil), Rosehip Seed Oil (Rosa Canina Fruit Oil), Sandalwood (Santalum Spicatum), Rose Damascena (Rosa Damascena Oil), Patchouli (Pogostemon Cablin Oil), Orange Blossom (Citrus Aurantium Oil), Himalayan Salt Crystals (Sodium Chloride), Wild Poppy Essence (Papaver Aculeatum). Province Apothecary Detoxifying + Clarifying Clay Mask. The texture of Province Apothecary Detoxifying + Clarifying Clay Mask. The Province Apothecary Detoxifying + Clarifying Clay Mask is a dry mask that you mix with water or honey to create a paste. The powder is so finely ground that its texture is smooth, not gritty, and a little goes a long way. All skin types can use this mask, but it would be especially great for times of congestion. That&apos;s because it&apos;s formulated with four types of clay—rhassoul, kaolin, bentonite and glacial marine—which really work to draw impurities out of the pores. 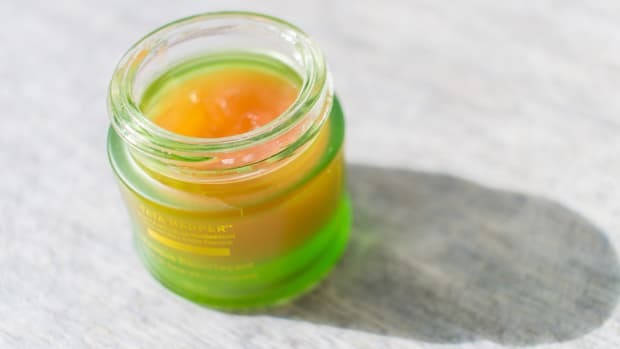 There&apos;s also Canadian algae, to encourage cell regeneration and collagen production, and maple syrup, which is full of minerals and antioxidants. I love the scent, and how it leaves skin looking toned and glowy. How to use it: Combine two teaspoons of the dry mask with two teaspoons of honey or water. Mix into a runny paste, and apply to clean skin. Leave on for five to 10 minutes, until mask is almost dry. Gently wipe off with a damp cloth. Use weekly. The texture of Odacité Deep Hydration Masque. Normal to dry, sensitive or mature types are best suited for this mask, which quenches thirsty skin with fresh, high-quality olive and jojoba oils in an aloe vera base. But just as important as what&apos;s in here is what&apos;s not: preservatives. That allows the vitamins and antioxidants to maintain 100 percent of their potency. No wonder it&apos;s so effective! This would be fantastic to use throughout the winter, or anytime your skin feels dehydrated. How to use it: Apply a thin layer of the mask to clean skin, avoiding the eye area. Leave on for 10 to 20 minutes, and then rinse with warm water. Safeas Organic Beauty Illite Pure Lava Clay. The texture of Safeas Organic Beauty Illite Pure Lava Clay. The Safeas Organic Beauty Illite Pure Lava Clay is a fine French green lava clay that can be mixed with water or other liquids to create a detoxifying, purifying mask. Derived from ancient volcanic ashes that originate from the last ice age, it is widely considered one of the most effective clays in the world! If you are acne-prone or suffer from blackheads, this mask will help release sebum, bacteria, dead skin and dirt particles from the pores. But all complexions can benefit from its ability to promote blood circulation and healthy tissue formation. It also delivers important trace minerals such as magnesium, silica, copper and selenium. If you&apos;re in need of a deep cleanse, or your skin has felt off balance, this mask will give you a fresh start! How to use it: Combine the mask with approximately four tablespoons of lukewarm water. Mix it into a creamy paste, and apply to wet, clean skin. Leave on for 10 to 15 minutes, and then rinse well with warm water. Graydon Superfood Mask + Scrub. The texture of Graydon Superfood Mask + Scrub. The Graydon Superfood Mask + Scrub is a unique two-in-one skin treatment that comes in pre-portioned, single-serve capsules (to keep it fresh). Inside is a dry powder that can be mixed with water, cleanser, oil, honey or yogurt, and applied as a scrub or a leave-on mask. Suitable for all skin types, especially sensitive, the powder is food-grade and features 19 "superfoods" with specific complexion benefits. 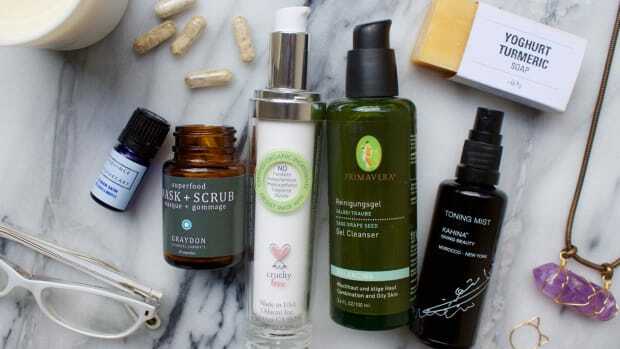 My favourites include the papaya enzymes and white willow bark for exfoliation; shiitake mushroom for brightening; and vitamin C for repairing damaged tissue. This is a great choice for gently removing dead skin cells and getting a subtle radiance boost. How to use it: Pour the contents of one capsule into the palm of your hand. To use it as a scrub, activate with a cleanser, oil or water. Gently massage into skin, and rinse with warm water. To use it as a mask, combine with water, honey and/or yogurt, and apply to clean skin. Leave on for up to 15 minutes, and then rinse with warm water. Ingredients: Sodium Bicarbonate, Zeolite (Clinootilolite Zeolite), White Willow Bark (Salix Babylonica), Matcha Green Tea (Camellia Sinensis), Chia Seed (Salvia Hispanica L), Probiotic Blend, Shiitake Mushroom (Lentinula Edodes), Cinnamon (Cinnamomum Cassia Presl. ), Vitamin C (Magnesium Ascorbate), Green Coffee Bean (Coffea Arabica), Zinc (Citrate), Aloe Vera (Aloe Barbadensis Leaf), Licorice Root (Glycyrrhiza Glabra), Papaya (Carica Papayal. ), Coconut Water(Cocos Nucifera L.), Activated Charcoal, Astaxanthin (From Red Algae), Micro Fermentedhyaluronic Acid (Sodium Hyaluronate), Vitamin D2, Xylitol. These all-natural face masks will get you glowing. If you&apos;re thinking about adding a face mask (or two or three!) 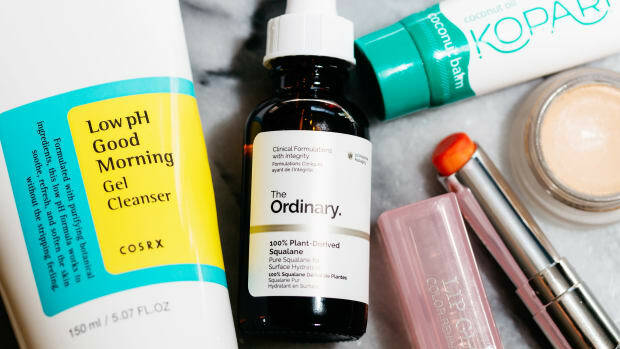 to your routine, these all-natural products should definitely be on your radar. 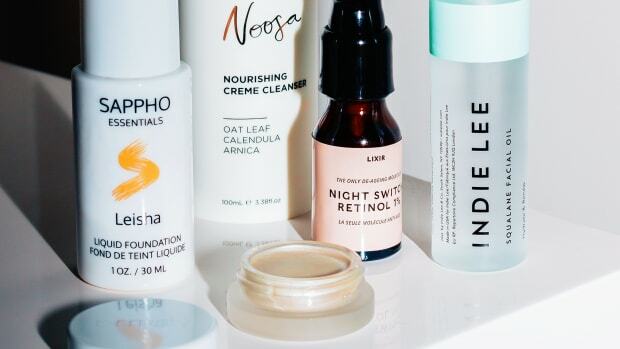 After all, the goal of "masking" is for your skin to drink up all the beneficial ingredients that you&apos;re leaving on your face for up to 20 minutes at a time. So it only makes sense that you&apos;d want to use clean, safe formulations like the masks I&apos;ve shown you here! Visit Petal & Post to find these all-natural face masks (and much more). 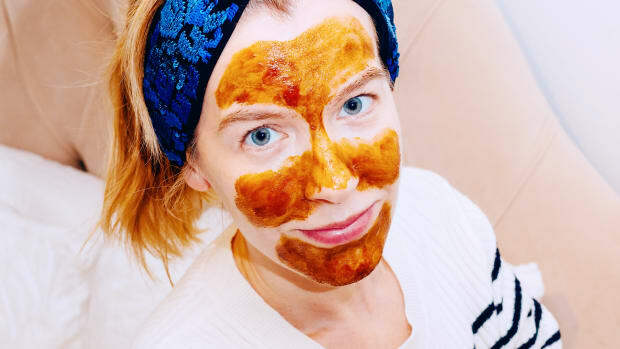 What&apos;s your favourite natural face mask?